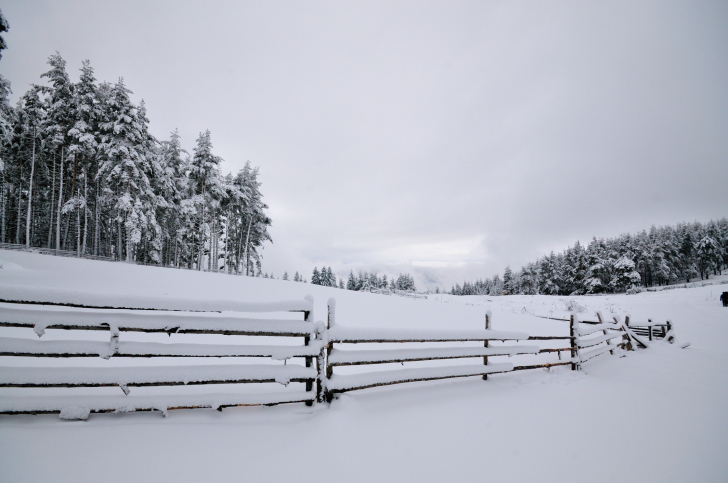 What are the benefits of a snow fence? We can feel the chill in the air, but where is the snow? It’s coming and one of the best ways to prepare for a snowy winter is having a snow fence installation. Northern Virginia is known for its snowy winters, snow lasting all winter long. If you have a long and narrow driveway, you know the last thing you need or want is a icy and snowy driveway. It’s not only dangerous, it’s inconvenient. Some people try to plant windbreak trees to prevent snow from drifting into driveways, but the windbreak trees never prevent people from being snowed in during the winter. To best prevent snow from drifting onto your driveway this long winter, put up a snow fence. It will help you keep your home driveway or even business passable. You can have a short or long snow fence, depending on your need. This fence will not only shield your driveway from heavy snow, it will also save you money when it comes to snow plowing. It is important to acknowledge a snow fence design is not to stop snow altogether. A snow fence helps redirect snow so it doesn’t pile up, tremendously reducing the need to snow plow while keeping your driveways safe — no blowing and drifting of snow on your road. It can do this for you because the design of the snow fence slows down wind, piling snow on the down wind of your fence and not the driveway. Keep in mind, the higher the fence, the further away the snow drift will start. The best snow fence designs are well secure and strong enough to stand against heavy wind and snow. The perfect time to have a snow fence installation is right before the heart of winter. 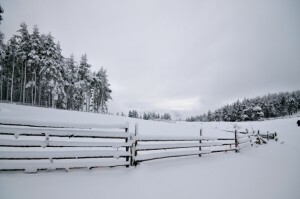 You will often see snow fences on farms, estates, airports, railway lines and along highways as those areas wind passes through with ease, but with a snow fence, you’ll notice the winds will slow down. As soon as you have a snow fence, you will notice you are not spending too much time or money sanding and salting your driveway. By installing the snow fence, you will keep your road more enough to have little to no snow. In other words, you’ll transform a high maintenance road to a low maintenance road. The snow fence saves lives, helps people save money and keeps those on the road safer by improving visibility during the harshest weather. Need a snow fence this winter? Hercules Fence is here to engineer a custom snow fence for your property, which will save lives, save time and keep you from burning a hole in your wallet this holiday season. Want to talk to the Northern VA custom fencing experts? This entry was posted on Thursday, November 19th, 2015 at 12:54 am. Both comments and pings are currently closed.